A surprise package arrived at the Fandomania headquarters today from Cinemax, addressed to me. 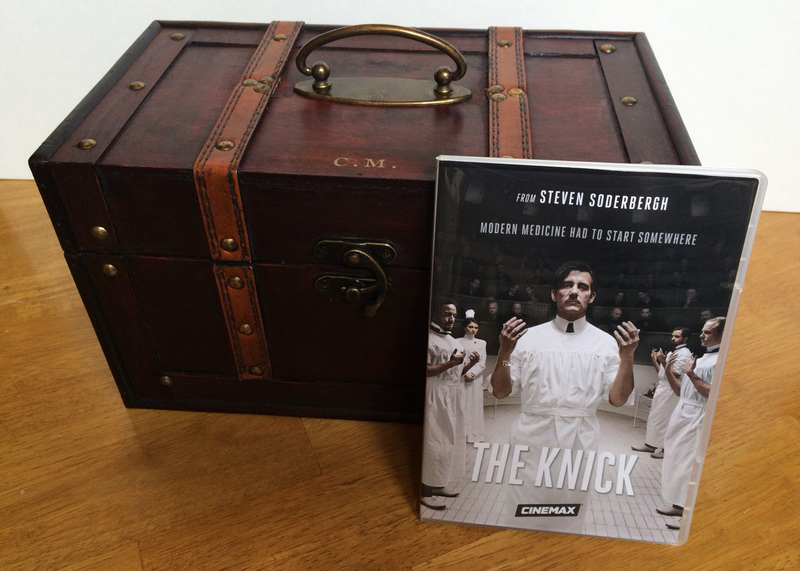 Inside was a copy of the first episode of their upcoming show The Knick, starring Clive Owen and directed by Steven Soderbergh, along with one of the coolest promotional items I’ve ever seen (let alone received): a “surgeon’s box” filled with 1900-era medical supply replicas, monogrammed with my initials! 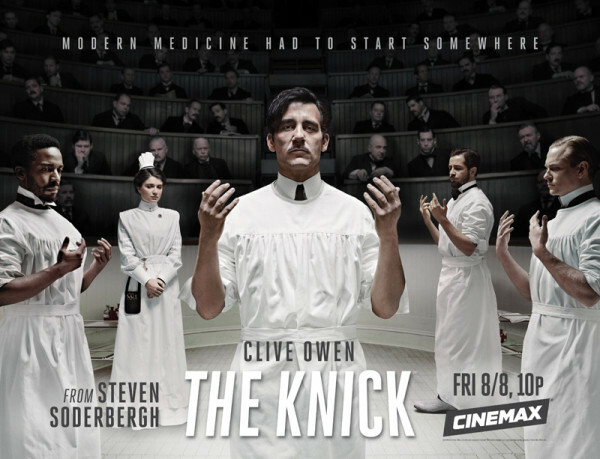 The Knick premieres August 8th at 10 pm EST on Cinemax and follows Dr. John Thackery (Owen), the arrogant, brilliant, drug-addicted head of surgery at New York’s Knickerbocker Hospital, as he and the rest of the staff (surgeons, nurses, and administration) navigate the challenges of healthcare in a pre-antibiotic world. Visit AtTheKnick.com or @AtTheKnick to keep up with the latest from the series. So what’s inside the box? 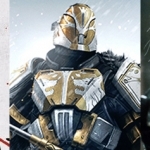 Continue on for the full gallery! 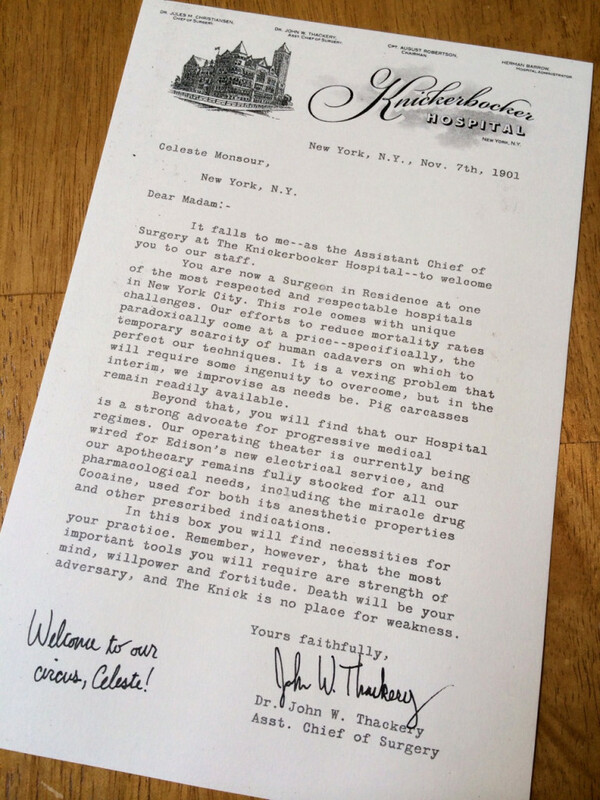 First, a letter from Dr. Thackery himself welcoming me as a Surgeon in Residence at Knickerbocker Hospital. My parents will be so proud! 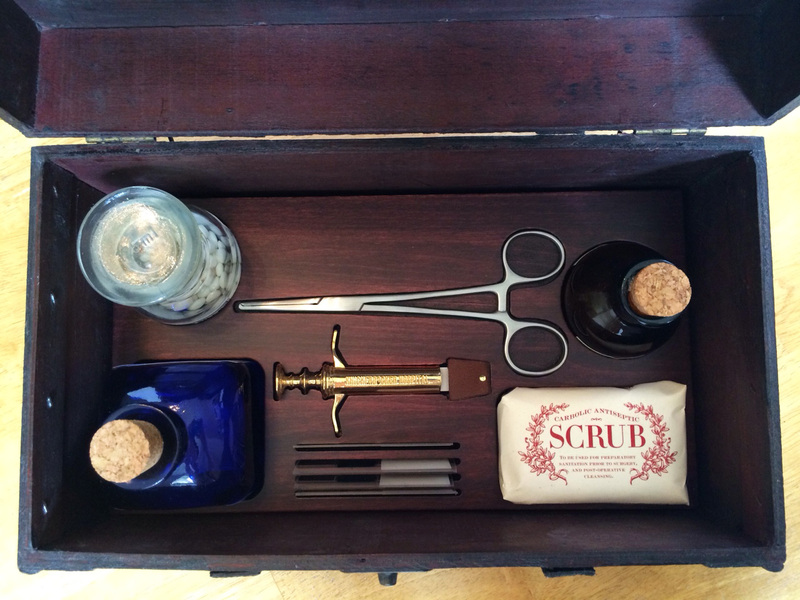 The wooden box is designed to perfectly house its contents. I’m a huge fan of both prop replicas and antiques, so this is right up my alley! 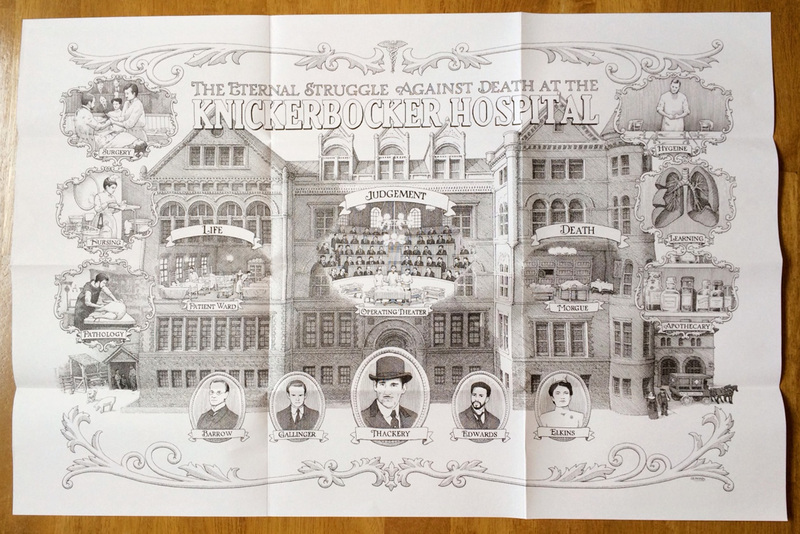 There’s a fold-out map of the hospital which features portraits of several of the main characters, along with vignettes of some of the day-to-day affairs in the surgery department. The slides show surgical procedures if you hold them up to the light, the scrub is actually usable soap, and the hysteria pills are mints. 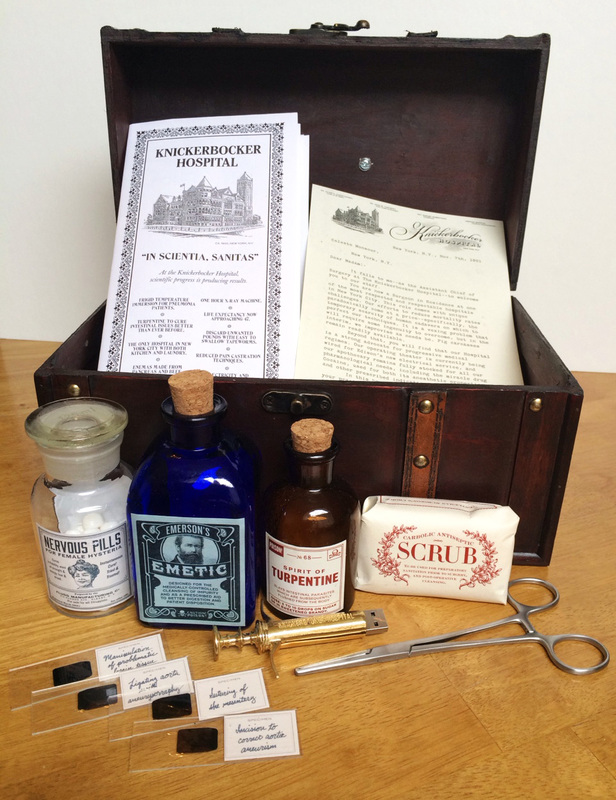 But my favorite of the functional items included is probably the syringe USB stick. 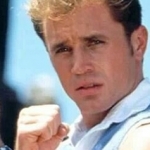 Thanks to our friends at Cinemax for putting together such an awesome promo. Be sure to check out the premiere episode of The Knick when it airs next week!